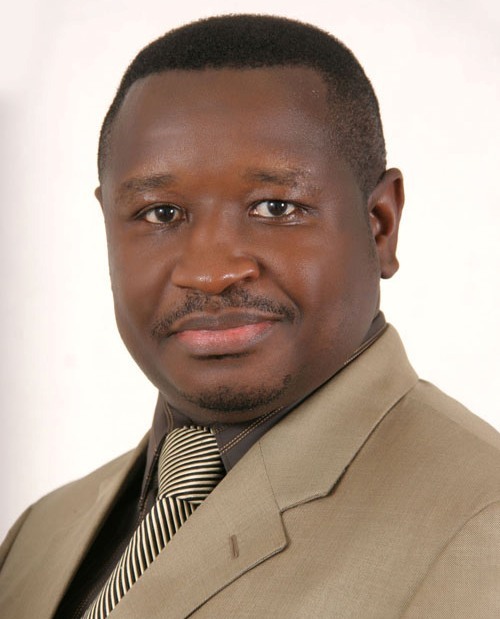 Controversial debates surrounding the role of the former presidential candidate of the Sierra Leone’s Peoples party (SLPP) – Julius Maada Bio, in the military interregnum which toppled the despotic government of the APC in 1992, are unlikely to end anytime soon. Although most Sierra Leoneans welcomed the military coup as a popular revolt against the undemocratic one party state, foisted upon the people of Sierra Leone by the APC government, there are many who continue to accuse former military leader – Maada Bio of usurping the powers of the people. At the 2012 presidential election, where it is believed by some observers that more than 10% of all ballots casted for the ruling APC was the result of electoral malpractice, the retired Brigadier succeeded in convincing over 40% of the electorate about his democratic credentials. And since the elections two years ago, supporters of Bio say that his popularity has continued to grow. But would this growing popularity be enough to convince the rank and file of the SLPP party to once again elect Bio as their presidential candidate for the 2018 elections? Only time will tell. But in the meantime, Bio has been in London, where it seems support for the former military strongman is not in short supply, as Yusuf Keketoma reports for the Sierra Leone Telegraph. 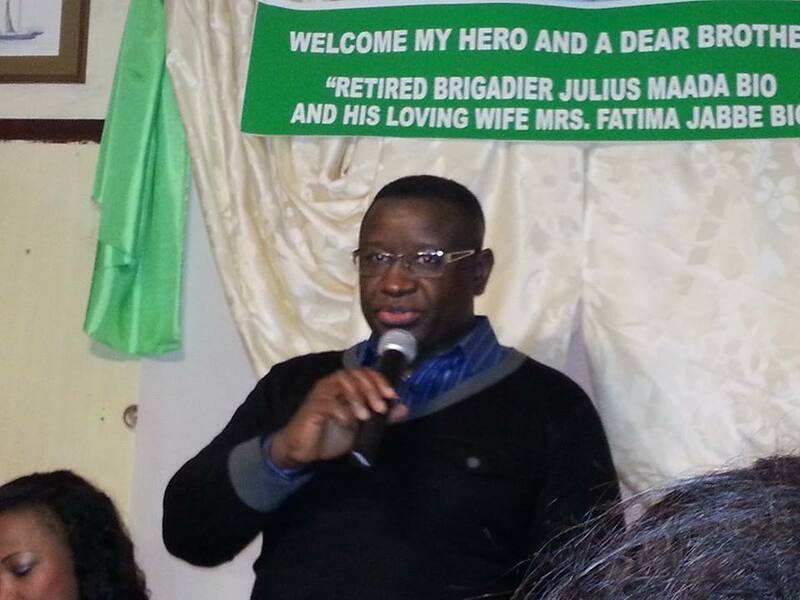 The Former Head of State – Retired Brigadier Julius Maada Bio told Sierra Leoneans in London last weekend that, what he did as Head of State in 1996 to ensure a smooth democratic transition from military rule to a multi-party democracy, and his efforts in starting the peace talks with Foday Sankoh, was done out of a deep sense of duty, and not as a favour to Sierra Leoneans. 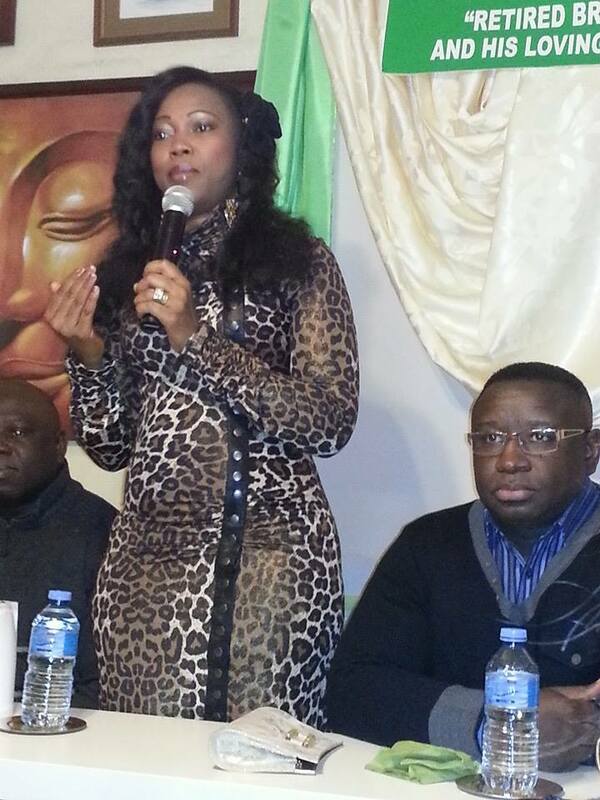 Bio was speaking at a special event hosted on Saturday, 22nd February 2014, organised by family members, friends and well-wishers in London, in honour of his personal contributions as Head of State to Sierra Leone’s democratic transition from military rule to multi-party democracy. Thanking the many members of the Sierra Leone community in U.K who attended the event, Bio told his audience that on many occasions throughout the campaigns in the 2012 elections, many people spoke about the role he played as Head of State in 1996 to ensure that the country returned to democracy, as well as his efforts to reach out to Foday Sankoh. The audience applauded, whilst someone shouted “God will bless you, Maada Bio”. Julius Maada Bio said that during his term as Head of State, there were many friends and individuals who were benefitting from the system, telling him not to hand over power. But he said as a Leader, sometimes you have to make a decision between two competing interests: on the one hand, you may have the interests of your family, friends and close individuals, whilst on the other hand there is the interest of the majority of people. “At a tender age and with all the pressure from friends and close individuals, I put the interest of the majority of the people above my friends, family, individuals and my personal interests,” he added. Furthermore, he said the reason why people write or say so many things about him is because in his three months as Head of State, he left a track record of peaceful democratic transition and initiated contact with the RUF’s Foday Sankoh for peace talks. The former Head of state also told the London audience that, for the few people who are trying to smear his character, they have had 17 years to prove whatever allegations or claims they want to make against him – and they have failed to do so. On the issue of his efforts to reach out to Foday Sankoh, an emotional Retired Brigadier Julius Maada Bio said that, because of his initial efforts during the peace negotiation, most of his family members were wiped out in his village in Tihun by the RUF. However, despite the former Head of State making it clear that the event was not a platform for political campaigning, he could not resist the necessary temptation of talking about the present state of the country. As an astute politician, he knows that despite his popularity, anytime the opportunity arises to speak to APC members, he will not let walk away from such an opportunity. “I am happy our colleagues from the APC are here. The development of a country requires every tribe, region and individual. The APC and SLPP are different parties with two competing visions. “The APC may have their vision on what is best for the country and SLPP has its own vision on what is best for our country. But as a people, we have to stop this too much addiction to party colours which constrains people from speaking the truth. “We should start addressing national issues by putting the interest of our country above our personal and party interest. This means that if President Koroma’s government does anything that is good for the country, when the SLPP comes to power, if I am elected as the SLPP Flagbearer, I will build on it. “Also as an Opposition Party, we in the SLPP should also be able to hold the APC government to account for any failures, poor performance or under-performance. No doubt, this message struck a happy chord with the APC members, who led the rapturous applause. Several speakers showered Bio with praises, for his courage and strong leadership as Head of State in one of the most defining moments of the country’s history. So for him, he has always known Bio as someone who seeks the welfare of Sierra Leoneans and the country. The Vice Chairman of the Union of Sierra Leoneans (UK/Ireland) – Madam Marie Kabia, said that she was very pleased to see the Julius Maada Bio in person for the first time, as she has only heard about his name and the positive things he did for the country as Head of State. She said Sierra Leone needs a leader who loves his country and cares for the people, and that Maada Bio has demonstrated this – as Head of State. Alpha Sankoh – Auditor of the Union of Sierra Leoneans (UK/Ireland) and an APC member, said that Sierra Leon is facing lots of challenges and no doubt about it, people are not happy because of the present suffering. He said that Maada Bio must carry on with the slogan: “One Country, One People,” for which he was resoundingly applauded. Other speakers at the occasion also included executive members from other UK based Sierra Leonean Charity Organisations, among whom was Ishmeal Bash Kamara who spoke on behalf of a Charity Organisation called “MUANA”. 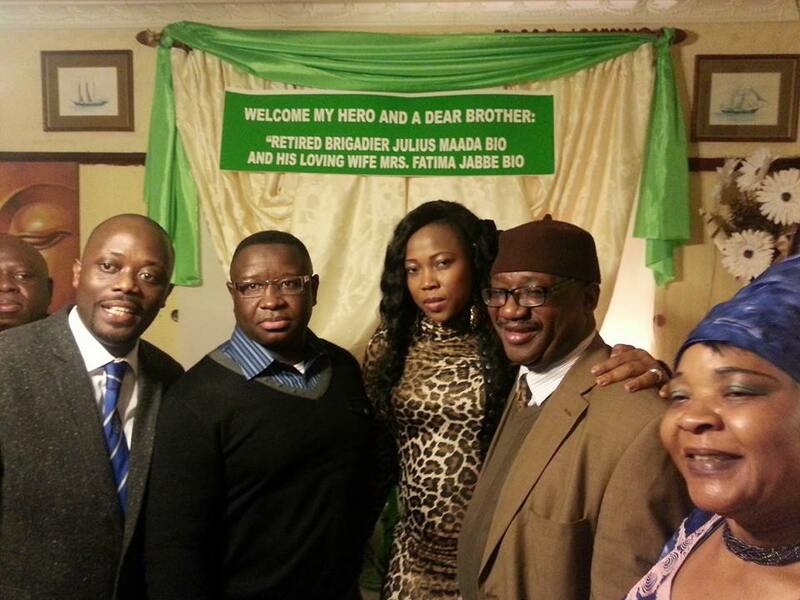 Fatima Jabbe Maada Bio, wife of Julius Maada Bio (Photo), also took the opportunity to speak very passionately about her husband, whom she referred to as a very loving, caring and compassionate husband. On behalf of the Bio Family, Princess Bio, younger sister of Julius Maada Bio, thanked all the guests for honouring his brother in appreciation of the things he did as Head of State, which make them proud as a family. She said whilst the event was not a political campaigning platform, but she believed the occasion has given people a chance to ask questions, narrate their stories and most importantly listened to her brother. It should also be recalled that according to the U.S Senate Congressional Record, (Pages S3958 – S3959) dated April 23rd 1996, Senator James Jeffords submitted for himself and three other senators, (Mrs Kassebaum, Mr Simon and Mr Feingold) a Senate Concurrent Resolution 53 Relative to the Republic of Sierra Leone. “Finally, I want to commend the former military ruler of the country, Julius Maada Bio, for respecting the results of the elections. Until the last moment many questioned whether the military would actually hand over power. Of course, many military rulers – including some in West Africa – have ignored elections. But Brigadier Bio demonstrated Statesmanlike Leadership in guiding his country to Democracy and I believe history will look upon him kindly”. Similarly, On 15th February 1996, the Security Council of the United Nations in a Press Release (SC/6178, 3632nd Meeting) read by the President, Madeleine Korbel Albright of the United States, singled out Julius Maada Bio, welcoming his decision to respect the will of the people and his first contact with Foday Sankoh, which led to the Peace Talks in Yamoussoukro, Ivory Coast. Sierra Leone’s 2018 elections may seem like several moons away, but as Bio’s popularity grows, so too will his chances of being elected as the flagbearer of his party – the SLPP, to contest what is going to be a watershed election in the country’s short democratic history to which Bio has contributed so much. I passionately believe that Maada Bio is genuine in his purpose and desire to lead Sierra Leone to success and growth. Many in our beloved nation are struggling to survive, due to poor governance and leadership. Sierra Leone deserves better. I am disheartened by the shower of praises bestowed on our present leader Ernest Koroma, who is using his position to destroy democracy, propagate bribery and to continue to enrich himself. SLPP needs to unite behind a formidable leader like Maada Bio to save Sierra Leone from political decadence and economic malaise.